To express that hearing loss is widespread is a bit of an understatement. In the US, 48 million people describe some extent of hearing loss. Meaning, on average, for every five people you encounter, one will have hearing loss. And at the age of 65, it’s one out of three. With odds like this, how can you escape becoming one of those five? To help you understand how to sustain healthy hearing throughout your life, we’ll take a closer look at the causes and types of hearing loss in this week’s blog post. Hearing loss is the interruption of normal hearing, so an appropriate place to start off is with a familiarity of how normal hearing is supposed to work. The physical and mechanical conduction of sound waves. Sound waves are produced in the environment and propel through the air, like ripples in a pond, ultimately making their way to the external ear, through the ear canal, and ultimately hitting the eardrum. The vibrations from the eardrum are subsequently transmitted to the middle ear bones, which then stimulate the tiny nerve cells of the cochlea, the snail-shaped organ of the inner ear. The electrical transmission from the inner ear to the brain. The cochlea, once stimulated, translates the vibrations into electrical impulses that are delivered via the auditory nerve to the brain. The perception of sound in the brain. The brain perceives the electrochemical signal as sound. What’s interesting is that what we perceive as sound is nothing more than sound waves, oscillations, electricity, and chemical reactions. It’s an entirely physical process that leads to the emergence of perception. Let’s take a look at the first two, including the causes and treatment of each. Conductive hearing loss inhibits the physical and mechanical conduction of sound waves to the inner ear and cochlea. This is caused by anything that blocks conduction. Examples include malformations of the outer ear, foreign objects inside the ear canal, fluid from ear infections, pierced eardrums, impacted earwax, and benign tumors, among other causes. Treatment of conductive hearing loss includes the removal of the obstruction, dealing with the infection, or surgical correction of the malformation of the outer ear, the eardrum, or the middle ear bones. If you suffer from conductive hearing loss, for example from impacted earwax, you could possibly begin hearing better immediately following a professional cleaning. With the exception of the more severe kinds of conductive hearing loss, this type can be the easiest to treat and can bring back normal hearing completely. Sensorineural hearing loss inhibits the electrical conduction of sound from the cochlea to the brain. This results from deterioration to either the nerve cells within the cochlea or to the auditory nerve itself. With sensorineural hearing loss, the brain receives weak electrical signals, reducing the volume and clarity of sound. Sensorineural hearing loss is most commonly connected with exposure to loud sounds, and so can be prevented by staying clear of those sounds or by shielding your hearing with earplugs. This form of hearing loss is a bit more difficult to treat. There are no existing surgical or medical procedures to repair the nerve cells of the inner ear. However, hearing aids and cochlear implants are extremely effective at taking over the amplification functions of the nerve cells, bringing about the perception of louder, sharper sound. The third type of hearing loss, mixed hearing loss, is essentially some mixture of conductive and sensorineural hearing loss, and is treated accordingly. If you have any struggle hearing, or if you have any ear discomfort or lightheadedness, it’s a good idea to consult your physician or hearing professional right away. 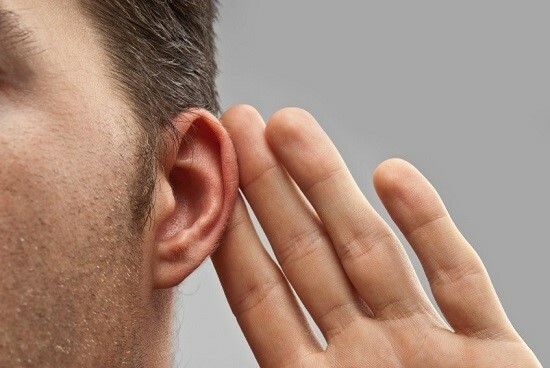 In nearly every case of hearing loss, you’ll get the best results the earlier you treat the underlying issue.